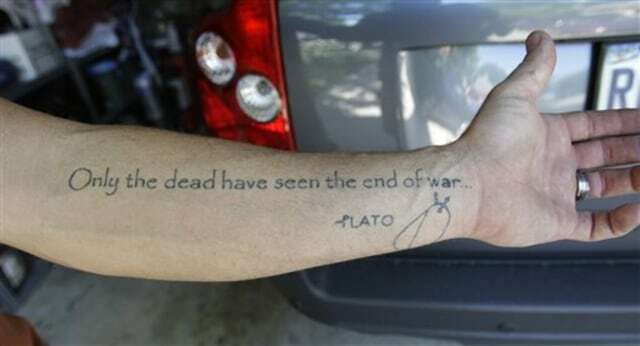 Chuck Luther, who shows a tatoo at his home near Fort Hood, Texas, had served eight years in the Army. He said throughout his time in service, he received eight mental health evaluations, each clearing him as "fit for duty." But that all changed.